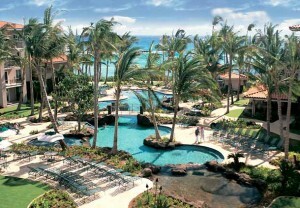 More distinctively Hawaiian than any other island, Kaua’i is the idyllic setting for Marriott’s Waiohai Beach Club, a magnificent resort surrounded by stunning scenery. Experience the exquisite beauty of the “Garden Isle’s” valleys, canyons, jagged mountains and towering waterfalls on land and unrivaled snorkeling and diving below the surf. 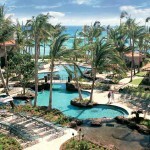 Your resort offers a sparkling courtyard pool and beachfront water sports for you to enjoy in this splendid setting. 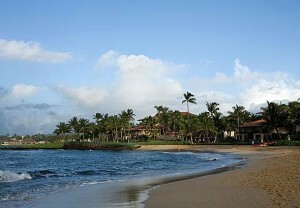 The locale of Marriott’s Waiohai Beach Club is a 2008 Travel Channel pick for America’s Best Beach. 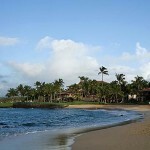 The resort is set amid awe-inspiring beauty and offers abundant outdoor recreation. Find just the right spot to soak up the rays and relax beneath the swaying palms. Or sample a full array of on-site daily activities that will help make this an unforgettable vacation for the whole family. 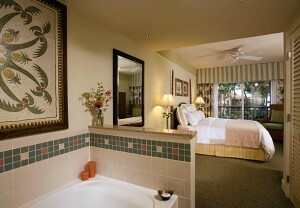 After a day of sun and fun, unwind in your spacious villa at Marriott’s Waiohai Beach Club. Inviting villas provide ample living and dining space for the whole family or a group of friends. Enjoy your vacation home away from home.